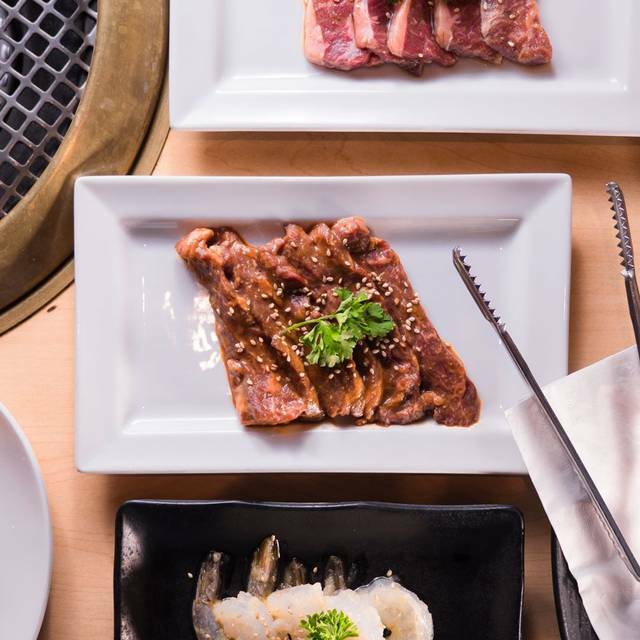 Gyu-Kaku Japanese BBQ in Vancouver is one of the best spot for an amazing experience in British Columbia! 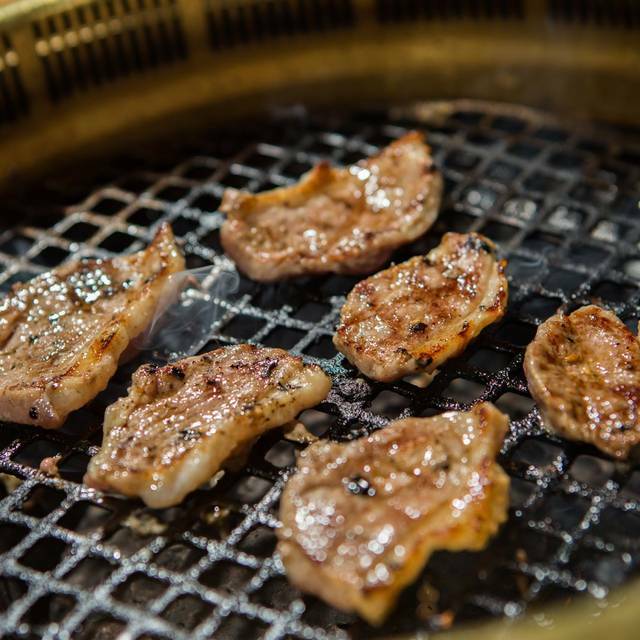 Traditionally called Yakiniku, this Japanese barbecue spot is known for their delicious, fresh, high-quality meats! As we do get very busy during peak hours and we do require reservations for maximum 2 hours dining time only. We are sorry for the inconveniences and we thank you for your cooperation. For all reservations we do hold a 15 minute grace period for the reserved table, if the party is late after the 15min, the reservation will be cancelled. 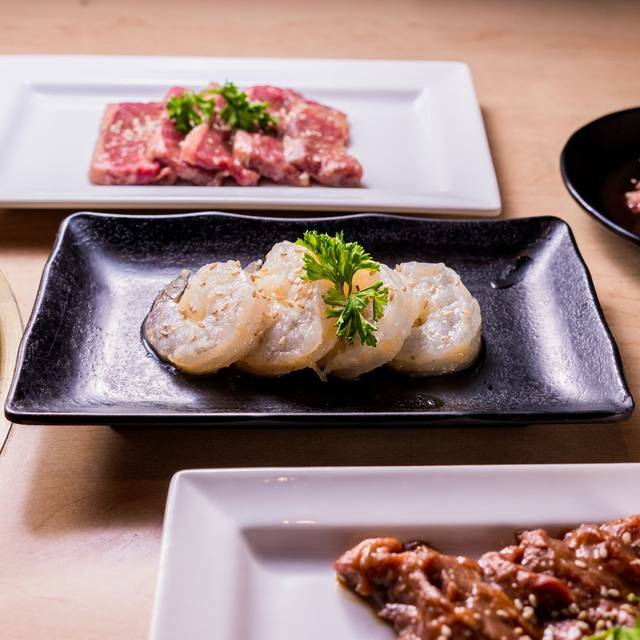 Again, we thank you for booking your reservation with Gyu-Kaku and we look forward in seeing you soon! 3pcs of flavorful spicy tuna on crispy fried rice! Pork dumplings w/ crunchy garlic, hot kick! Wrap your own spicy tuna in crispy seaweed! 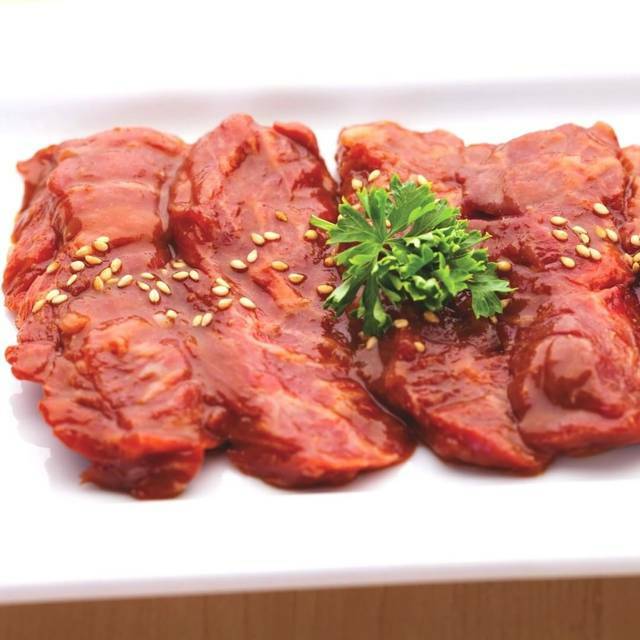 ^Gluten Free Friendly - Marinades with this mark are made with gluten free ingredients. Sweet Soy & Spicy Sauce on your table for dipping, too! Always great. My wife and I love that place. We recommend to everyone. 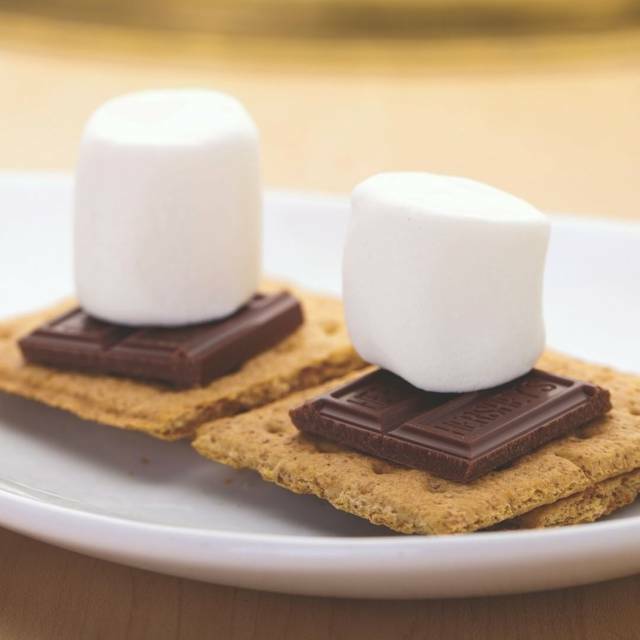 So yummy I have brought alot of friends :) and love your app ! Horrible wait service. Hostess states we could have happy hour, our waiter took our happy hour order, then waiter came back and said he could give us happy hour because he enter the order past 6pm. We said okay and asked we would keep our original order. Half way through our meal, we were wondering what happened to out set menu. I asked the waiter and he the set menu we ordered was only for happy hour. It didn't dawn to him he should of made that more clear and provided the dinner menu... and we had six people in our party and should of figured out the eight extra dishes we ordered on top of the set that he only delivered was sufficient for a meal. Boy, service failed on so many levels. No tip and not coming back. Great ambiance and family-friendly. My kids love the novelty of bbq in the middle of the table. The steak options we chose were delicious as were all the dips, sides and appetizers. Service was good. It was fun to cook own meal on own table. Thw service was good and meal was very tasty. However one of my daughter is vegetarian so she couldn't eat much. Unfortunately this time the food and the service was really bad. Food was oily bad taste. Was bad service really bad. 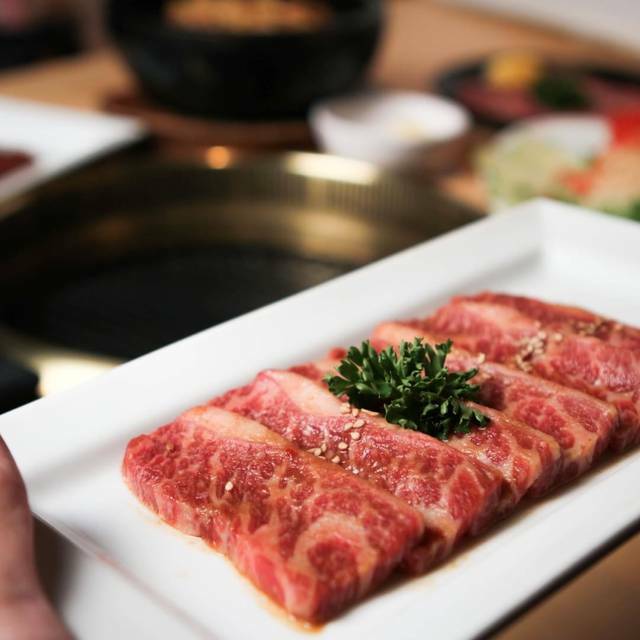 Gyu Kaku is my top favourite restaurant in town! They always have the friendliest hosts and waiters and the food is delicious! It would have been a good dinner if the server wasn’t so incompetent. You should get his IQ tested. I loved being here. It was my second time at this location and it was an outstanding experience the both times. Our server were both nice, and very professional. But their hostess was so rude and unfriendly person, scare to go there again, she has never say "hi"or never properly greeted, kick us out using waiters. We know there was 2 hours limit. Somehow she hates us. NO more this restaurant, and I don't recommend for any business lunch or dinner. It is sad, cz I used to like there before. I love coming here on Mondays. It’s a great place. Superb! The service food was amazing, our server was great he explained everything very well and told us how long each meat item would take to cook. I will definitely be going back again!! This is one of my go to eateries in Vancouver. I have come here solo, on dates, with friends and family alike. The course meals never fail to please and provide a good assortment and quantity of grilling goodness. Plan ahead and make reservations as the table wait can be a bit in this always busy restaurant. If you don't you can always pop next door for drinks at Relish until your table is ready. This is an experiential meal that I highly recommend. Great Customer service. Great meat. Very enjoy the dining experience. Highly recommended this place. Everything about dining at Gyu-Kaku is amazing! The food & sauces are expectional. The mixed fruit sake is like tasty treat. Its fun to cook your own foods. Staff is friendly & fast. Will definitely go again. Great value! Was there for happy hour with some friends and the service was excellent! Always so good ! Food is amazing, good service. Thank you Gyu Kaku team. Amazing food and amazing staff! It was our first time going to a Korean BBQ and the waitress was super awesome with helping us out and figuring out what to order! Always a great time at gyu kaku! Food is delicious service friendly and great value! Normally the service here is really on point. But on Feb 18 the service was just horrible. We ordered rice like we normally do with our meats and the rice didn't even come out until I had to ask again and by that point we had already ate up most of the meats. Also for the garlic udon it was just not right that day...super watery and not garlicky at all. Normally it comes out in the really hot bowl. Our server only can't to our table twice the entire time unless we waved him down. Overall it was a bad experience that day for all 5 of us. Amazingly delicious! What a treat! Good food, we ordered the meat lovers. Lots of meat, and would recommend getting the beef tongue and the spicy tuna volcano. The sitting cushions need to wash, looks disgusting. Food is worth it's value. Good service, the waitress came to check our table often and Manager came to wrap up the bill. Spot is central, good for gathering. Check out their promo for 20% ! My only issue is that the BBQ didn't have an even cooking distribution causing some of the food to not cook all the way or take longer to cook. 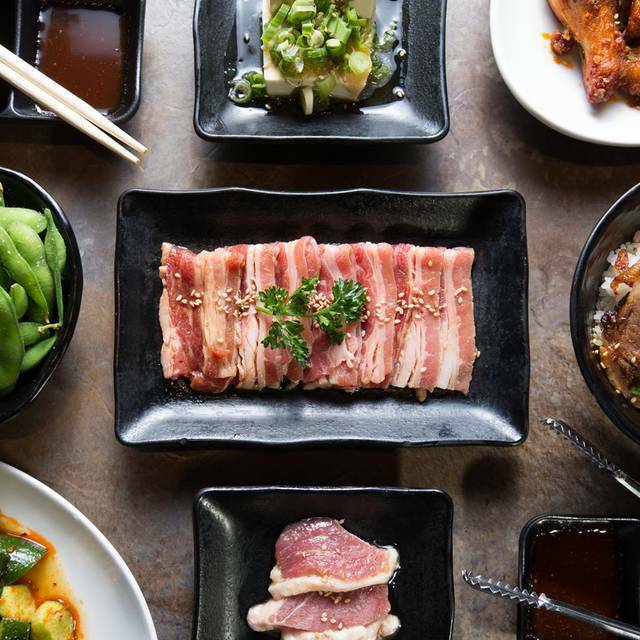 Our experience at Gyu-Kali was so fun and I’d recommend this restaurant to anyone! We will definitely be back. Food was very good quality although I thought it lacked seasoning and there was no salt or pepper on the table. Always lives up to my expectations. Good lunch deals! Love their super happy hour. Dinner for the two of us including tip around $30. Good value. A really fun place to go with a group/family, with lots of options for what you want to cook. While it’s not a cheap place, the quality is good and the service was awesome. Great time at GyuKaku and amazing service, thank you to Chad for putting a great effort into our evening. 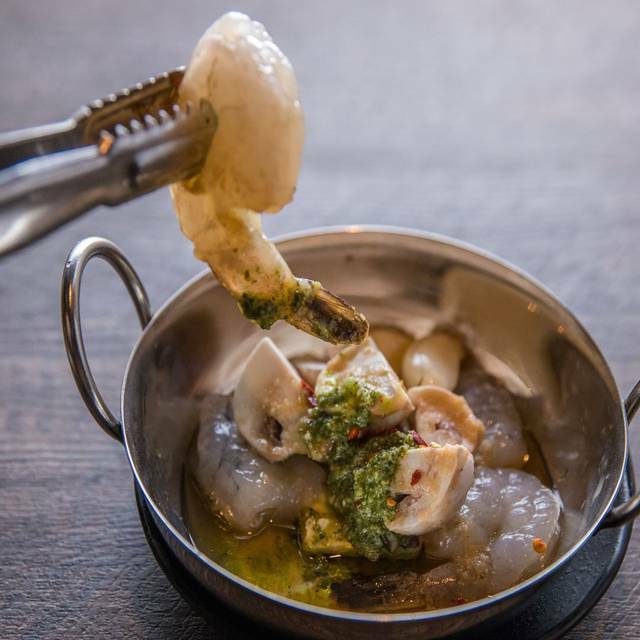 Food, atmosphere and particularly service are great. Portions are huge, especially for the dine out! I had a great time. The food was great and the ambiance was energetic. Our server and waitress were great. The cuts of beef were great and top notch. It is up to the customer to cook the meat or else it burns. Great for friends getting together! Lisa was very attentive. Plan plenty of time for your meal as the BBQ cooking can take a while.